Gunārs Krollis was born in 1932, Riga. In 1953, he graduated from J. Rozentāls Riga Art Secondary School. In 1960, he finished the Department of Graphic Arts at the Art Academy of Latvia. He has been participating in exhibitions held in Latvia and abroad since 1956. 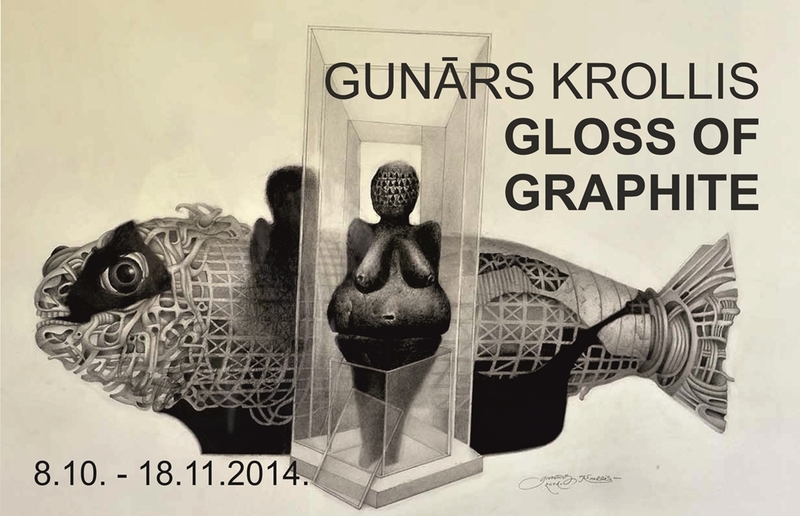 In 1963, Gunārs Krollis became a member of Latvian Artists Association. At first Gunārs Krollis was particularly interested in linocut, but later he started to work in etching technique and from time to time took up water-color and painting too. The contribution of the artist to the field of book illustration is significant. In 1992, the artist gained master’s degree in art. He has spent much of his time on pedagogical work educating the new generation of graphic artists at the Art Academy of Latvia. The gloss of graphite, which we can see at this exhibition, testifies to the fact that pencil as a technique has been the focus of Gunārs Krollis’ attention for several years already. His drawings combine different epochs and culture of different peoples. Artist’s will and imagination determine the understanding of time in his drawings. When we take a look into them, it seems that Gunārs Krollis reminds us of the rich past of mankind’s culture on which today’s world is based and which we so often forget.